Blue Force Gear would like to say thank you for your service with a 10% discount valid on the BlueForceGear.com online store. To receive your discount on our American made products please select "Mil/LE" in the "Customer Type" section when you create your account. All active duty or retired law enforcement, military, or rescue personnel, firearms instructors including NRA instructors, or correctional officers are eligible. In short - if you dedicate your life to the service of others, we would like to say thanks. For military unit purchases, please email Sales@BlueForceGear.com for current pricing and lead times. 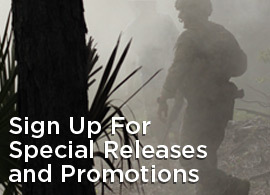 Click here to see our full lineup of military gear and accessories.